That chicken wing you're eating could be as deadly as a cigarette. In a new study that tracked a large sample of adults for nearly two decades, researchers have found that eating a diet rich in animal proteins during middle age makes you four times more likely to die of cancer than someone with a low-protein diet -- a mortality risk factor comparable to smoking. "There's a misconception that because we all eat, understanding nutrition is simple. But the question is not whether a certain diet allows you to do well for three days, but can it help you survive to be 100?" said corresponding author Valter Longo, the Edna M. Jones Professor of Biogerontology at the USC Davis School of Gerontology and director of the USC Longevity Institute. Not only is excessive protein consumption linked to a dramatic rise in cancer mortality, but middle-aged people who eat lots of proteins from animal sources -- including meat, milk and cheese -- are also more susceptible to early death in general, reveals the study to be published March 4 in Cell Metabolism. Protein-lovers were 74 percent more likely to die of any cause within the study period than their more low-protein counterparts. They were also several times more likely to die of diabetes. But how much protein we should eat has long been a controversial topic -- muddled by the popularity of protein-heavy diets such as Paleo and Atkins. Before this study, researchers had never shown a definitive correlation between high protein consumption and mortality risk. In other words, what's good for you at one age may be damaging at another. Protein controls the growth hormone IGF-I, which helps our bodies grow but has been linked to cancer susceptibility. Levels of IGF-I drop off dramatically after age 65, leading to potential frailty and muscle loss. The study shows that while high protein intake during middle age is very harmful, it is protective for older adults: those over 65 who ate a moderate- or high-protein diet were less susceptible to disease. "The research shows that a low-protein diet in middle age is useful for preventing cancer and overall mortality, through a process that involves regulating IGF-I and possibly insulin levels," said co-author Eileen Crimmins, the AARP Chair in Gerontology at USC. "However, we also propose that at older ages, it may be important to avoid a low-protein diet to allow the maintenance of healthy weight and protection from frailty." It might seem too good to be true, but dark chocolate is good for you and scientists now know why. Dark chocolate helps restore flexibility to arteries while also preventing white blood cells from sticking to the walls of blood vessels. Both arterial stiffness and white blood cell adhesion are known factors that play a significant role in atherosclerosis. What's more, the scientists also found that increasing the flavanol content of dark chocolate did not change this effect. This discovery was published in the March 2014 issue of The FASEB Journal. "We provide a more complete picture of the impact of chocolate consumption in vascular health and show that increasing flavanol content has no added beneficial effect on vascular health," said Diederik Esser, Ph.D., a researcher involved in the work from the Top Institute Food and Nutrition and Wageningen University, Division of Human Nutrition in Wageningen, The Netherlands. "However, this increased flavanol content clearly affected taste and thereby the motivation to eat these chocolates. So the dark side of chocolate is a healthy one." "The effect that dark chocolate has on our bodies is encouraging not only because it allows us to indulge with less guilt, but also because it could lead the way to therapies that do the same thing as dark chocolate but with better and more consistent results," said Gerald Weissmann, M.D., Editor-in-Chief of The FASEB Journal. 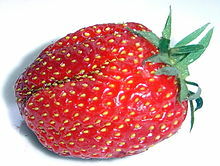 Several studies had already demonstrated the antioxidant capacity of strawberries, but now researchers from the Università Politecnica delle Marche (UNIVPM, Italy), together with colleagues from the Universities of Salamanca, Granada and Seville (Spain), conducted an analysis that revealed that these fruits also help to reduce cholesterol. The team set up an experiment in which they added 500 g of strawberries to the daily diets of 23 healthy volunteers over a month. They took blood samples before and after this period to compare data. The results, which are published in the Journal of Nutritional Biochemistry, show that the total amount of cholesterol, the levels of low-density lipoproteins (LDL or bad cholesterol) and the quantity of triglycerides fell to 8.78%, 13.72% and 20.8% respectively. The high-density lipoprotein (HDL or good cholesterol) remained unchanged. Eating strawberries also improved other parameters such as the general plasma lipid profile, antioxidant biomarkers (such as vitamin C or oxygen radical absorbance capacity), antihemolytic defences and platelet function. All parameters returned to their initial values 15 days after abandoning 'treatment' with strawberries. The researcher admits that there is still no direct evidence about which compounds of this fruit are behind their beneficial effects, "but all the signs and epidemiological studies point towards anthocyanins, the vegetable pigments that afford them their red colour." The research team confirmed in other studies that eating strawberries also protects against ultraviolet radiation, reduces the damage that alcohol can have on the gastric mucosa, strengthens erythrocytes, or red blood cells, and improves the antioxidant capacity of the blood. Eating a vegetarian diet is associated with reductions in blood pressure (BP) on par with adopting the DASH (low-sodium) diet, and roughly half that of starting pharmaceutical treatment, a new meta-analysis suggests . "These findings establish the value of nonpharmacologic means for reducing BP," lead author on the study, Dr Yoko Yokoyama (National Cerebral and Cardiovascular Center, Osaka, Japan). "Unlike drugs, there is no cost to a diet adjustment of this type, and all the 'side effects' of a plant-based diet are desirable: weight loss, lower cholesterol, and better blood sugar control, among others. I would encourage physicians to prescribe plant-based diets as a matter of routine and to rely on medications only when diet changes do not do the job." Yokoyama et al's meta-analysis is published February 24, 2014 in JAMA Internal Medicine. The study is the latest to examine the health impact of a vegetarian-style eating pattern on cardiovascular disease risk factors. The authors reviewed over 250 studies addressing vegetarian diets, ultimately including seven clinical trials (six of which were randomized) and 32 observational studies that included blood-pressure findings. Diets ranged from vegan to lacto-ovo vegetarian, with one study including fish, but no meat). The authors found that reductions in both systolic and diastolic blood pressure were significantly greater for the vegetarian diets than for the comparator (omnivorous) diets, both in the pooled clinical trials and in the pooled observational studies, although drops were greater in the observational studies. "This issue was examined by nearly 40 independent studies, some of which had hundreds or even thousands of participants, and the findings are strikingly consistent," Yokoyama said. "A vegetarian diet is clearly associated with lower blood pressure. Or, put another way, a meat-based diet is associated with higher blood pressure." As with the DASH diet, the effect of switching to a vegetarian diet appears to be fairly rapid, and that's likely the result of two factors. Eating foods that contain vitamin C may reduce your risk of the most common type of hemorrhagic stroke, according to a study released today that will be presented at the American Academy of Neurology's 66th Annual Meeting in Philadelphia, April 26 to May 3, 2014. "Our results show that vitamin C deficiency should be considered a risk factor for this severe type of stroke, as were high blood pressure, drinking alcohol and being overweight in our study," said study author Stéphane Vannier, MD, with Pontchaillou University Hospital in Rennes, France. "More research is needed to explore specifically how vitamin C may help to reduce stroke risk. For example, the vitamin may regulate blood pressure." A child suddenly runs out into the road. Brake!! A driver who has recently eaten spinach or eggs will stop faster, thanks to the amino acid tyrosine found in these and other food products. Leiden cognitive psychologist Lorenza Colzato publishes her findings in the journal Neuropsychologia. Colzato and her colleagues created a situation in which test candidates had to interrupt a repetitive activity at a given instant. The participants had two sessions in the test lab. On one occasion they were given orange to drink that contained tyrosine, and on the other occasion the orange juice contained a placebo. The tests showed that the candidates performed better on the stopping task if they had drunk the juice with tyrosine. The positive effect of tyrosine on our reaction speed can have benefits for road safety. But there are many more examples. Colzato: 'Tyrosine food supplements and tyrosine-rich food are a healthy and inexpensive way of improving our intellectual capabilities. Tyrosine is found in such foods as spinach, eggs, cottage cheese and soya. With Valentine's Day just one day away, Vanderbilt Heart and Vascular Institute cardiologist Julie Damp, M.D., says being involved in a healthy, loving relationship is good for the heart. "There are different theories behind why that might be," Damp said. There is also a theory that people who are in loving relationships may experience neuro-hormonal changes that have positive effects on the body, including the cardiovascular system," she said, explaining that there are certain hormone levels in the body that vary depending on the level of an individual's stress and anxiety. Giving your loved one a box of dark chocolates and a bottle of red wine won't hurt either. Studies suggest they are good for the heart, as well. "Dark chocolate has been shown to be associated with lower blood pressure, lower blood sugar levels and improvement in the way your blood vessels dilate and relax," Damp said. A study published in The American Journal of Medicine reveals that a whole diet approach, which focuses on increased intake of fruits, vegetables, nuts, and fish, has more evidence for reducing cardiovascular risk than strategies that focus exclusively on reduced dietary fat. "Nearly all clinical trials in the 1960s, 70s and 80s compared usual diets to those characterized by low total fat, low saturated fat, low dietary cholesterol, and increased polyunsaturated fats," says study co-author James E. Dalen, MD, MPH, Weil Foundation, and University of Arizona College of Medicine. "These diets did reduce cholesterol levels. However they did not reduce the incidence of myocardial infarction or coronary heart disease deaths." "The potency of combining individual cardioprotective foods is substantial -- and perhaps even stronger than many of the medications and procedures that have been the focus of modern cardiology," explains co-author Stephen Devries, MD, FACC. Among a large group of Midwestern firefighters, greater adherence to Mediterranean-style diet was associated with lower risk factors for cardiovascular disease (CVD), according to a new study led by researchers from Harvard School of Public Health (HSPH) and Cambridge Health Alliance (CHA). The study is the first to assess the effects of Mediterranean-style diet among a group of young, working U.S. adults. The researchers analyzed medical and lifestyle data, including dietary habits, from an existing cohort of 780 male firefighters in the Midwest. They developed a modified Mediterranean diet score (mMDS) to assess the participants' dietary patterns. The firefighter group with greatest adherence to Mediterranean-style diet showed a 35% decreased risk in metabolic syndrome, a condition with risk factors that include a large waistline, high triglyceride level, low HDL ("good") cholesterol level, high blood pressure, and high blood sugar. The group with the highest mMDS also had a 43% lower risk of weight gain compared with the lowest mMDS group. Additionally, greater adherence to a Mediterranean-style diet was significantly associated with higher HDL cholesterol and lower LDL ("bad") cholesterol. Consistent with previous investigations, obese participants in the firefighter study reported a higher intake of both fast foods and sugary drinks. 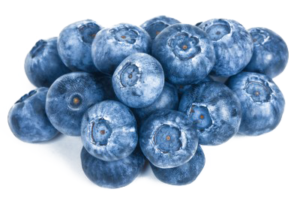 The USF-developed nutritional supplement, containing extracts from blueberries and green tea combined with vitamin D3 and amino acids, including carnosine, was tested by the USF researchers in a clinical trial enrolling 105 healthy adults, ages 65 to 85. The two-month study evaluated the effects of the formula, called NT-020, on the cognitive performance of these older adults, who had no diagnosed memory disorders. Those randomized to the group of 52 volunteers receiving NT-020 demonstrated improvements in cognitive processing speed, while the 53 volunteers randomized to receive a placebo did not. Reduced cognitive processing speed, which can slow thinking and learning, has been associated with advancing age, the researchers said. Blueberries, a major ingredient in the NT-020 formula, are rich in polyphenols, a type of antioxidant containing a polyphenolic, or natural phenol substructure. In several preclinical trials, researchers gave aging laboratory rats NT-020 to see if it boosted memory and other cognitive performance by promoting the health of neurons in the aging brain. Those studies demonstrated that NT-020 promoted the growth of stem cells in the brain, produced an overall rejuvenating effect, benefited animals with simulated stroke, and led to better cognitive performance.